Finding the right words can be difficult, especially across languages, and once you choose them, finding a way to type them can be even harder. Try emailing family in Germany, chatting with friends in China or adding a Russian business partner's name to your contacts and you may find yourself limited by the language of your keyboard. That's why today we’re adding more than 100 virtual keyboards, transliteration and IMEs—collectively called input tools—in Gmail. These tools enable you to type in the language and keyboard layout you’re accustomed to, making it easy to keep in touch with family, friends and coworkers from any computer. 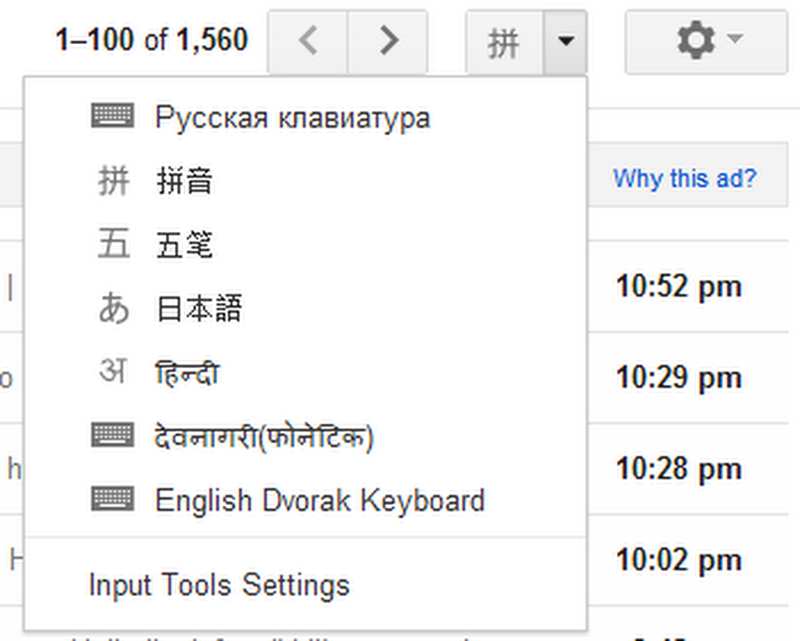 You can even switch between languages with one click. To try it out, check the box next to Enable input tools under Language in Settings. Once you’ve enabled it, you’ll see the Input Tools icon next to the Settings button in your toolbar, and you can turn on and off any Input Tool from there. 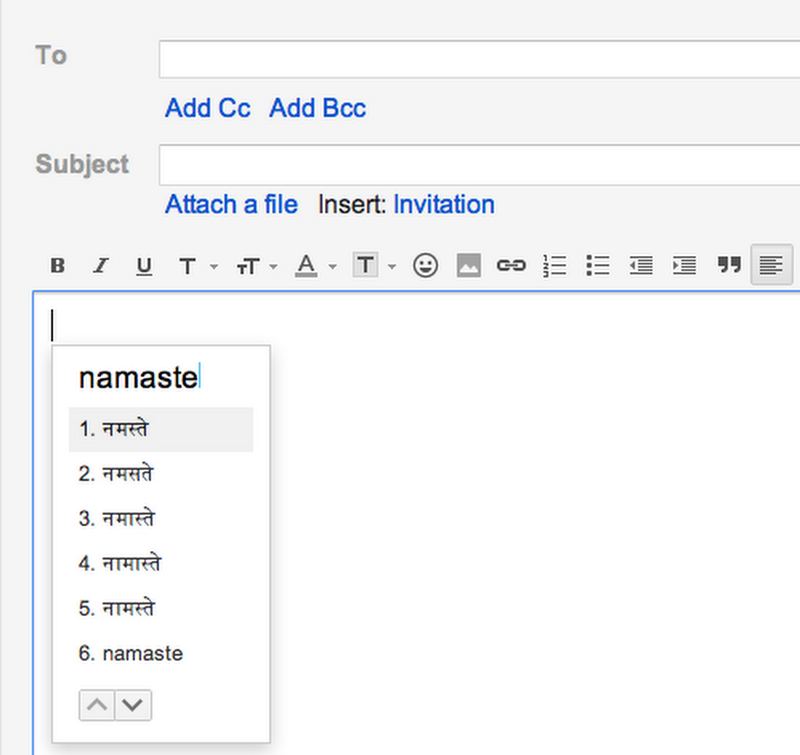 With these new virtual keyboards, Gmail supports typing in 75 languages—a big jump from the five languages that were initially supported when we introduced Indic transliteration in Gmail in 2009. Gmail’s users are from all over the world—and language should never get in the way of a good conversation. If you'd like to use Input Tools in other places, try out the Chrome extension, the Windows desktop client or the Android app.